Recently, The New Republic, a national magazine, sent writer/reporter Alexander Sammon to our little town of Elwood, IL. He covered the real impact that industrial warehousing and the inland port has on our community. Additionally, the story covered our grassroots effort and all that we have accomplished thus far. Sammon’s visit included interviews with locals as well as some of us who have helped lead the Just No to NorthPoint effort. The piece he wrote, titled “Elwood, Illinois (Pop. 2,200), Has Become a Vital Hub of America’s Consumer Economy. And It’s Hell.” was published January 9, 2019. The article masterfully tells our story. Through interviews, Sammon highlights the negative effects we have endured as a community. It also acknowledges the plight of the temporary warehouse workers, the negative impact on our safety, and the problems with our infrastructure. The article, though lengthy, is well worth the read. Please take a moment to read it and share it with your friends and family. You can access the article (for free) online. The article has gained traction online and in other media in the days following its publication. WGN radio’s Amy Guth asked Alexander Sammon to be a guest on Amy Guth’s segment on WGN radio on January 12, 2019. WJOL 1340, our local station, also invited Sammon to be a guest on the Scott Slocum show. Tune in during his morning show this upcoming Thursday, January 17th, 2019. 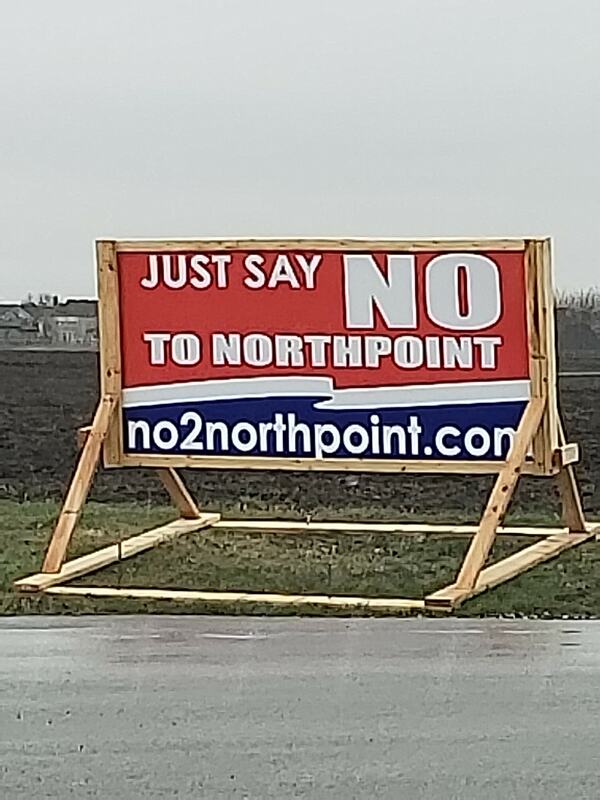 Currently, NorthPoint still has an application with Will County and no hearing date set. NorthPoint still needs to complete all the requirements set forth by the county board. Once NorthPoint satisfies those requirements, the county will schedule a hearing with the planning and zoning committee. From there, the county board will hear their application and take a final vote. In other news, the Jackson Township board voted unanimously to issue a formal statement of opposition to the project. This official statement was submitted to the county. They join the villages of Elwood and Manhattan, who have both already sent letters indicating their opposition. Stay tuned to our Facebook page for current happenings. We’ll be sure to keep you all updated on the website with major events. We have come a long way, but our fight is not over.